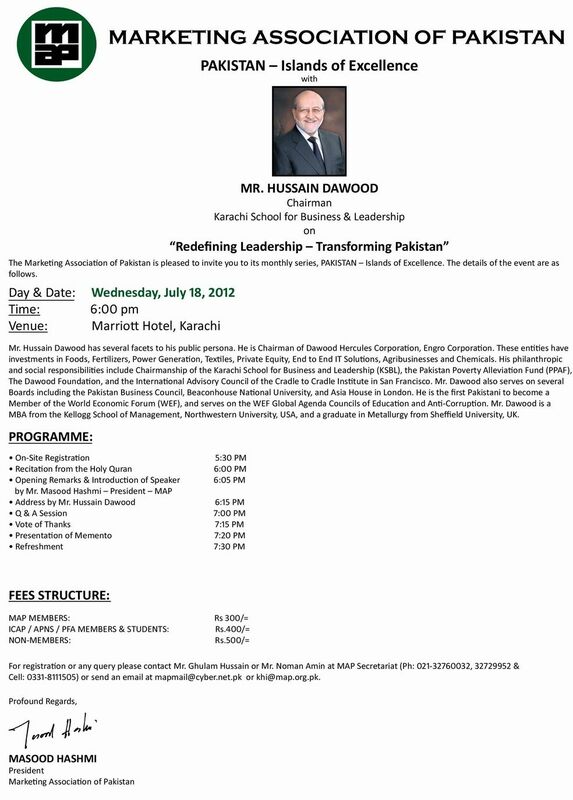 Marketing Association of Pakistan will be holding a seminar on Redefining Leadership – Transforming Pakistan as part of its monthly series – Islands of Excellence – Transforming Pakistan. Dawood Hussain, Chairman Karachi School of Business and Leadership as well as chairman of Dawood Hercules and Engro Corporation will speak about the topic at length. The MAP Seminar will be held on Wednesday the 18th of July at Marriott Hotel.